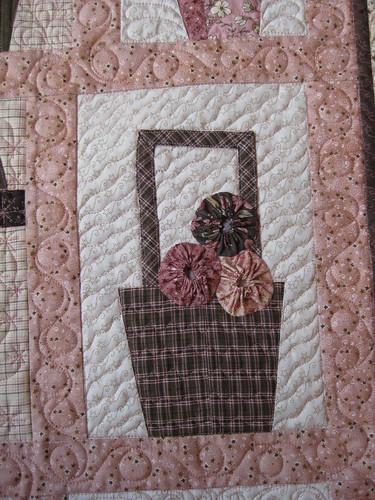 It’s Bloggers Quilt Festival:Fall 2011 time. Below is my Wonky Basket quilt I started last summer in a Gwen Marston workshop and completed within just a few days. It was so much fun to do because nothing much is pre-planned and no pattern is needed using Gwen’s “Liberated Quilting” methods. Hope you enjoy. Check out all the other quilts participating and information about the Bloggers Quilt Festival by clicking the button below! 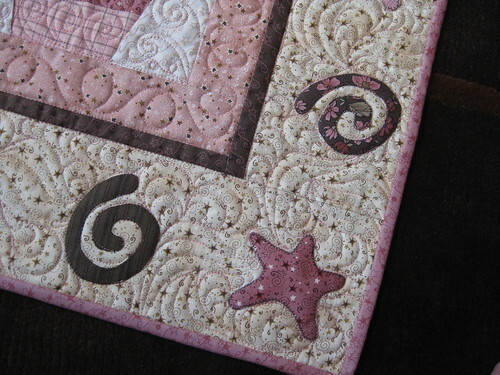 Very cute quilt and love the quilting designs! 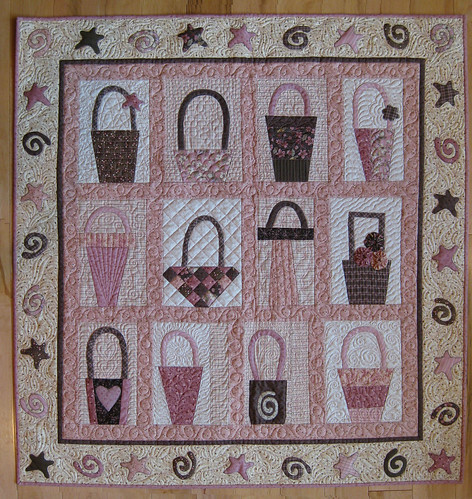 Your basket quilt is cute as can be and the quilting is very intricate. It looks so nice on your brown leather couch. I’ve always loved this design! Great quilt! Love the border! oh my goodness! im so excited!!! Im taking this same class with Gwen on MOnday!!! now im double-y excited seeing your great quilt!! I love this quilt so much, and the border is fantastic!! Lovely quilt. I really like the baskets this way. Gorgeous colours, too. fun baskets. I’ve made a Gwen basket quilt myself. woo hoo for liberated quilting! Love this so much! Just fabulous baskets. Thanks for sharing. OMG! Love your quilt. I’m a sucker for basket quilts. Your fabric choices are great. Thanks much for sharing. Your wonky baskets are gorgeous. 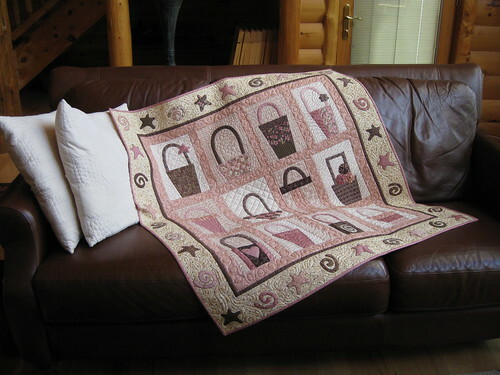 What a stunning quilt…thank you for sharing with us.